Sweeping the floor is the most tedious of all manual tasks. No one enjoys it, and it only becomes harder the task moves to the garden. A garden floor sweeper needs to be able to handle debris as large as bark and twigs right down to the smallest objects, like dirt, dust and sand - which are frustrating to clean up with a brush or broom. What's more, they need to be able to reach narrow spaces and awkward corners, which can be a nightmare when trying to clean by hand. Floor sweepers make these painful tasks effortless, gliding over patios and driveways, these machines are perfect for both the home-owner and commercial user. Our great range of floor sweepers are designed to tackle any challenge, and offer a powered solution that ensures you wont feel exhausted or drained whilst you make your garden the best in can be. Perfect product for cleaning driveways and footpaths all year round. Equipped with powerful brushes and pneumatic tyres. A 77 cm powered floor sweeper, the KGA 770 boasts STIHL's MultiClean Plus sweeping system to deal with all kinds of dirt and debris. Includes a 50 litre collector. Sold as a shell only, with the battery and charger available separately. 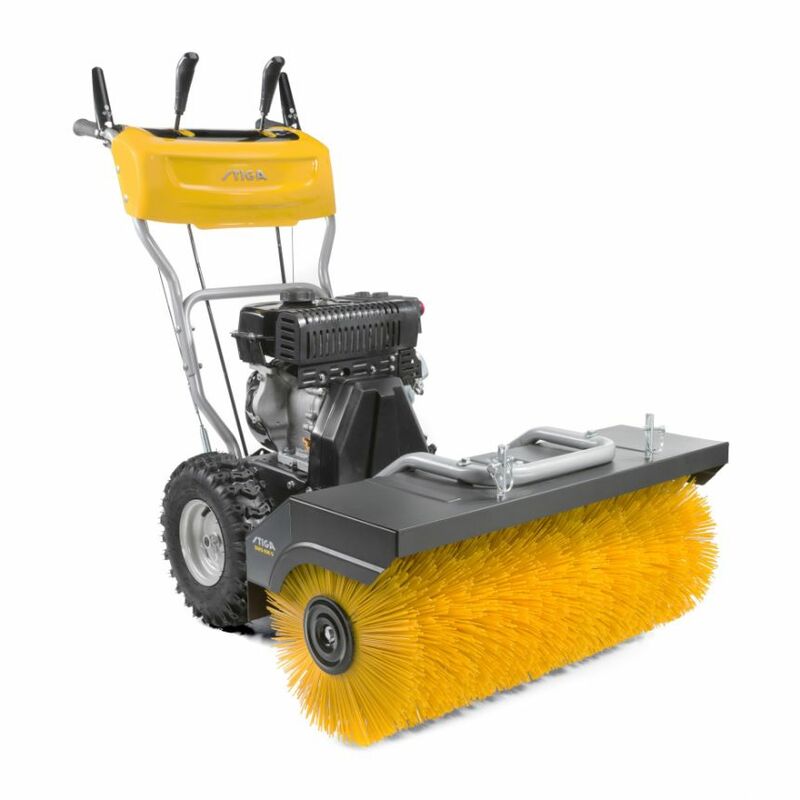 A professional cordless floor sweeper, able to handle all manner of dirt and debris over large distances, thanks to its 77 cm brush width and MultiClean Plus sweeping system. Sold as a kit with a choice of battery and charger.